Technology changes so quickly that even the most technologically knowledgeable individuals sometimes have difficulty following along. One technology evolution that is rapidly changing is in the area of 3D printing. This is an advanced technology that allows three-dimensional objects of nearly any size or shape to be created from digital models. The increasing availability of affordable 3D printers is allowing this concept to take off quickly. Below are five innovative uses for 3D printing. Would you eat a burger spat a 3D printer? Kitchens will be offering this option sooner or later. NASA is so intrigued by this idea that is helping to fund the project. The agency that takes care of the space explorations of North America, recently signed a contract which will give a specialist 3D printing the money needed to make a printed pizza and other food items come true. NASA believes that the compact elements of the print and “ink” is ideal to feed astronauts on their expeditions to Mars and beyond. And from what we hear, this could certainly be an improvement on the existing menu space. Where there is a tendency for hype, you’ll find a community of marketing evangelists trying to take advantage of it. And 3D printing is no exception. Design firms such as Inition are focused on improving the technology and speed of manufacturing prototypes, while integrating this with other technologies such as virtual reality (VR) and filming; Combined together, this will be able create new industries as well as to support various other applications. Some brands, however, are using 3D printing to reach targeted audience in a more personalized way. 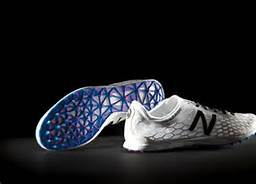 For example, the Nokia brand that manufactures mobile phones, is planning on using it for customers to print their own smartphone covers and enclosures; Converse now allows customers to design their own shoes and wear them out of the store within an hour. Other firms will allow you to download a promotional item as a print file for customers to produce at home. 3D printing has the potential to change the design aspects of many essential things that we depend on in our daily routines. One of the most striking examples can be seen in the automotive manufacturing industry. Ford is currently using this technology to design vehicles in its central Dunton Technical Center; Canadian manufacturing KOR EcoLogic may be the first to actually put a fully functioning car, created through this concept, onto the street. 3D printing is the driving force (!) behind the Urbee 2, which should be released in the next 2 years. While the bulk of the body / frame, and other components, will be produced in the traditional way, the vehicle will be completely designed by CAD files, where 40 large panels will be manufactured by a 3D printer. One of the most controversial applications of 3D printing is its involvement in weapons manufacturing. We are perhaps a few years away from a scenario where soldiers manufacture their own weapons in the battlefield. But this flexible technology has already been used to produce weapons and ammunition. Texan Cody Wilson is an early proponent in that he wants to create a system that allows anyone eligible to print their own guns from on-line plans. The group “Defense Distributed” created the first 3D printed rifle (recently posted in a video on Youtube) which was shown successfully firing 14 shots before failing. One of the most promising innovations in 3D printing exists in the area of health care. Researchers at Cornell University are experimenting with this technology to produce a variety of remarkable bio-objects, including an ear; This was created successfully when using a silicone impression of a human ear. Researchers at other universities are studying how 3D printing can be used to build artificial parts of the human body. 3D printing also shows potential in the pharmaceutical medical segment. It could soon be possible to get a prescription filled by simply clicking ” Print ” on your computer or smartphone. Obviously, there could be incredibly high abuse potential with this app, so there would need to be a system that would require a prescription from the doctor/patient, which unlocks the printer and chemical “ink” to print the medicine at home. From very simple to extremely vital remedies, this technology could one day revolutionize the medical field. Current innovations are impressive, but when it comes to the future of 3D printing, we really haven’t seen anything. This technology will have implications that will surely spread to many industries as the concept develops and becomes more widespread. These are just five examples of how 3D printing will change our lives in the not too distant future.